A pinstripe suit is the ultimate power suit. Go back to the 80’s and 90’s and all men of importance were wearing double breasted pinstripe suits. 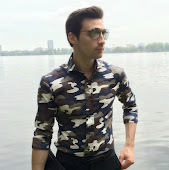 The pattern is slightly less popular than before only because it can be intimidating when worn in an office setting. I love pinstripes but I'm not some Wallstreet executive so I’ve decided to tame things down a bit with single breasted blazer. 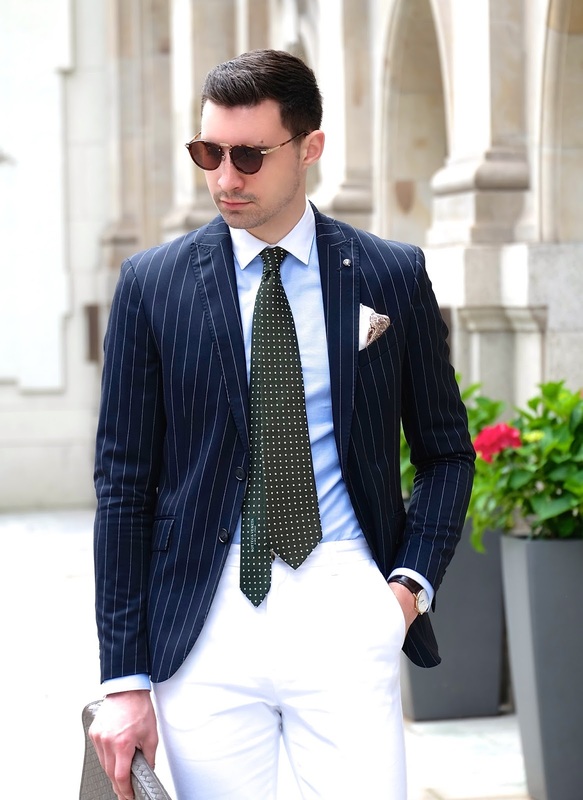 A pinstripe blazer is even less common than a full suit but I truly believe it’s a great option. I’m wearing mine with white denim. Yes pinstripes and denim can be pulled off as long as the jeans aren’t distressed and contrast the blazer. As for a tie, I went with dots. A navy pinstripe suit with a white shirt and red tie may be powerful but try stepping out of the box a bit and mix some new patterns and colors. If the blazer is navy pretty much any color tie will match. I finished off with my Bottega Veneta portfolio to add a bit of class and elegance to the look. I hope you guys enjoy and thanks as always for reading.